Currently we are packing Golden Delicious from ULO chambers, and from 01.02.2016. we have in plan to open the chamber with Jonagored and Idared. Was created by crossing varieties Elberta x Springtime, 1966. 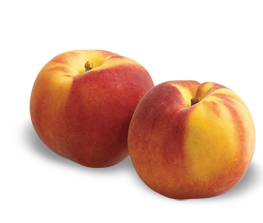 The fruit is a large group of 184 on 195g, height 60mm, width 67mm and thickness 69mm. Epidermis is yellow recast red lipstick on the surface of 50-60%. The meat is yellow, firm, juicy, excellent flavor. Completely separated from the pit. Za Voćko.rs | Dizajn i kod Studio Present d.o.o.